The two partners have extensive experience in the conduct of Criminal defence work and indeed the senior partner is a Higher Rights advocate having conducted many Crown Court trials himself over the years. The firm covers the full range of Criminal allegations from minor road traffic matters to the more serious offences such as murders, frauds and drug related offending as well as everything else in between. The firm is authorised by the Criminal Defence Service and part of the Legal Aid own Client scheme. We can arrange attendance with you on a voluntary basis at the Police station for interview or we can attend if in custody under arrest. We represent throughout the Magistrates Court and Crown Court process. 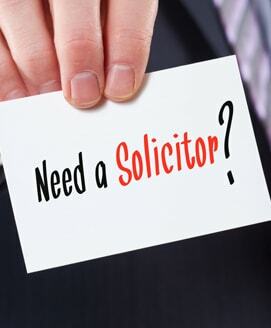 We conduct many of our own hearings or alternatively if we are unable to attend we only use experienced advocates who have been used by us before and in whom we know that the service to the Client will be excellent. Being charged with a Criminal offence and being uncertain as to the future is a stressful time for you and often family members and we are adept at dealing sympathetically with such situations and we are the most robust when it comes to protecting your interests and preparing for hearings. No stone is left unturned in our quest to represent you to the best of our ability and we are not constrained or fettered in any way in asking searching questions of the prosecuting authorities. We are accredited under The Law Society Conveyancing Quality Scheme. We are accredited under the Law Society Criminal Litigation Scheme. We are regularly audited to ensure that we continue to meet quality assurance standards. Established initially in 1988 by Senior partner Aki Achillea in Finsbury Park North London and for the past 17 years based in Chingford North East London the firm has been committed to providing first class legal assistance to individuals and organisations alike.